Referred to by some as ‘water of life’ and often miss-spelt, depending on where you are from, we’ve sealed the deal on where’s best to get this age old tipple. Let’s have a whisky shall we? You can get to grips with Salts’ rare and prestigious collection of malt whiskys that houses some very unusual and limited edition drams, like their Knockando 1985 or the Port Ellen 1983. They have a Johnnie Walker Odyssey blended from whisky from just three distilleries and lots of Japanese Whiskey too. Salt take their whisky seriously and invite you to learn about and taste some of their gems. 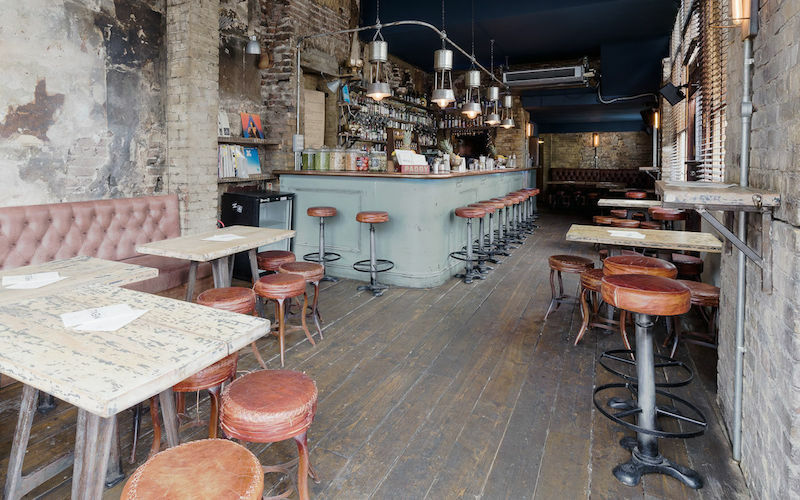 This Bethnal Green haunt dates back to 1851, quite a jaunt isn’t it? 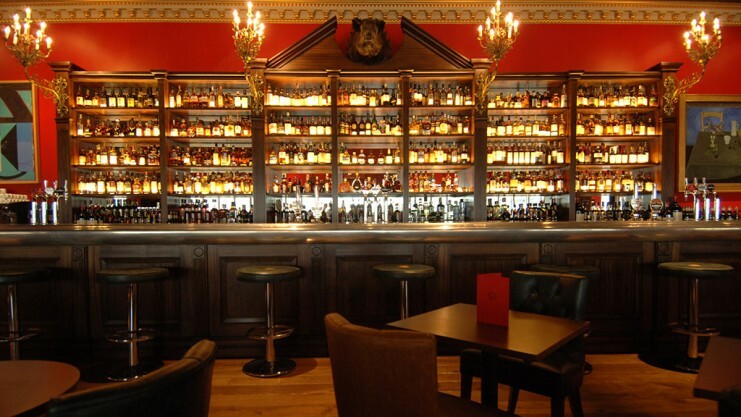 After a refurb, it reopened in 2014 with a hand picked selection of Irish Whiskey stocking the very best of an eclectic and interesting mix of fine grain, malt and peated whiskies. On the shelves you will also find Poitín, a clear Irish spirit earning its reputation due to its high strength which ranges between 40-90%. Sore head in the morning after this one. The Lex is a classic boozer. A traditional pub with bucket loads of charm and a pretty damn extensive bourbon list (yes the Americans call whisky bourbon) which showcases some tipples that were made when dinosaurs were still kicking around. 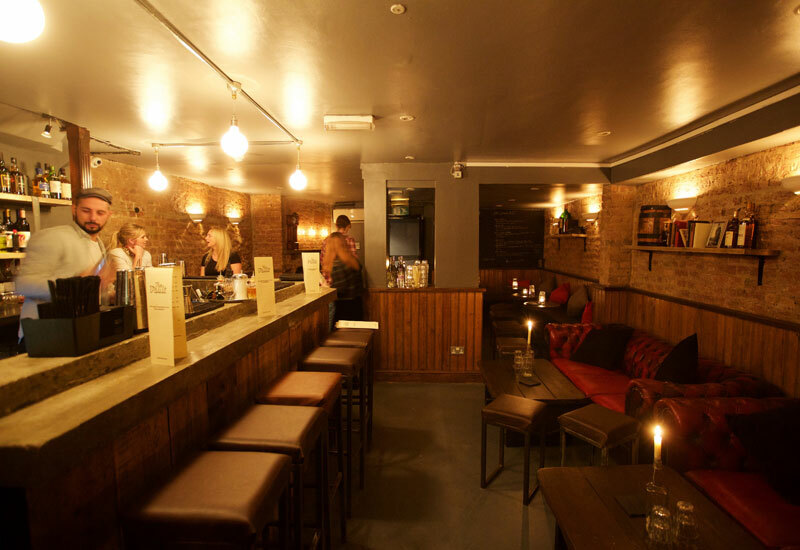 It’s rock n roll throughout with the upstairs venue and cult classic indie hangout. Try a few Tennessee tipples and check out the Rough Trade pop quiz on Mondays…bloody impossible! For those times when only something fancy will do, you won’t do much better than The Connaught Bar. Not only is it very 1920s glam inside but they’ve got a fine selection of whisky including their very own Connaught Cask. Enjoy it straight or in mixology master Agostino Perrone’s 1815 Whisky Sour creation. Mac & Wild may be famous for their Veni-Moo burgers but this Scottish restaurant comes up trumps on the whisky front too. They’ve got a strong spread across Island, Highland, Lowland and Speyside bottles but you’ll defo wanna dive into their Whisky Flights first. You might even discover your new favourite dram. 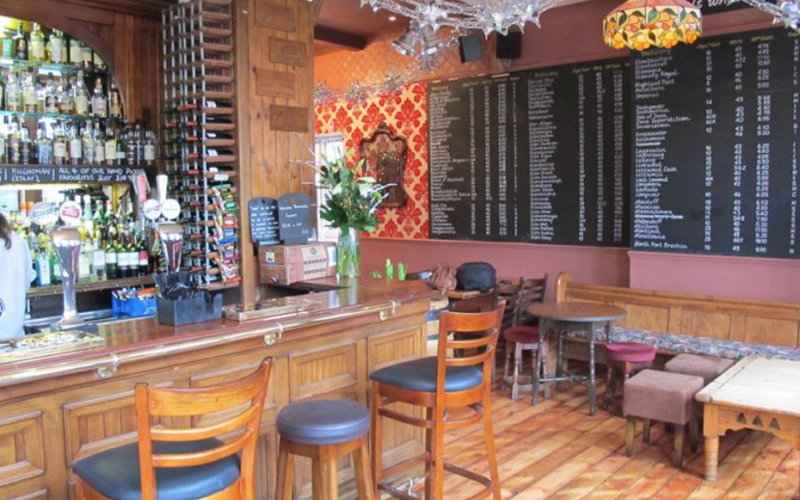 The Britannia is a great traditional boozer which also happens to have a top selection of whisky behind the bar. 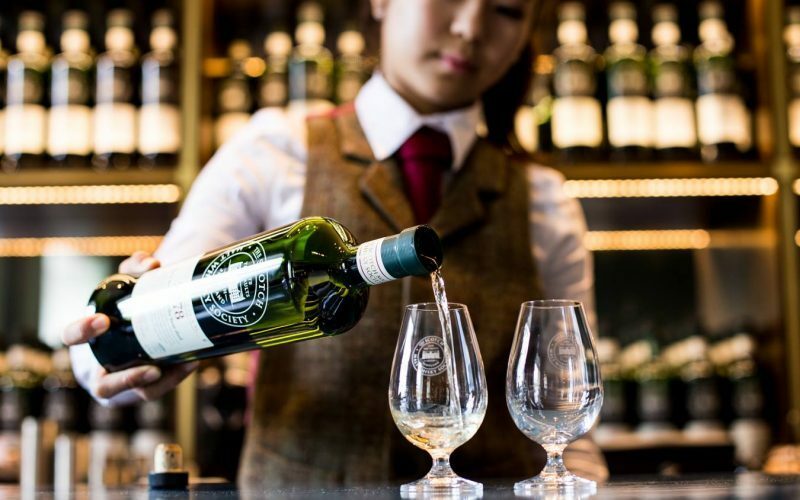 They’ve got around 130 varieties to choose from, and with most drams coming in at a tenner or under, it’s ideal if you want to try a few without having to splash the cash. 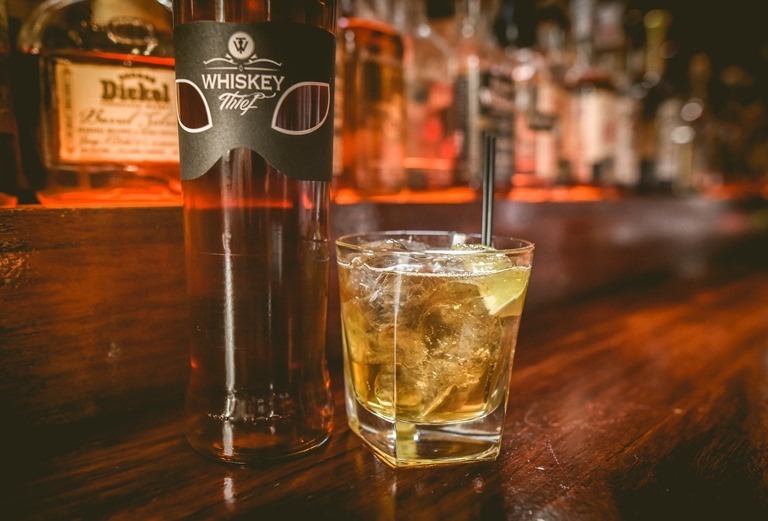 If you’re partial to a bourbon, you need to drop by the Grosvenor House Hotel. 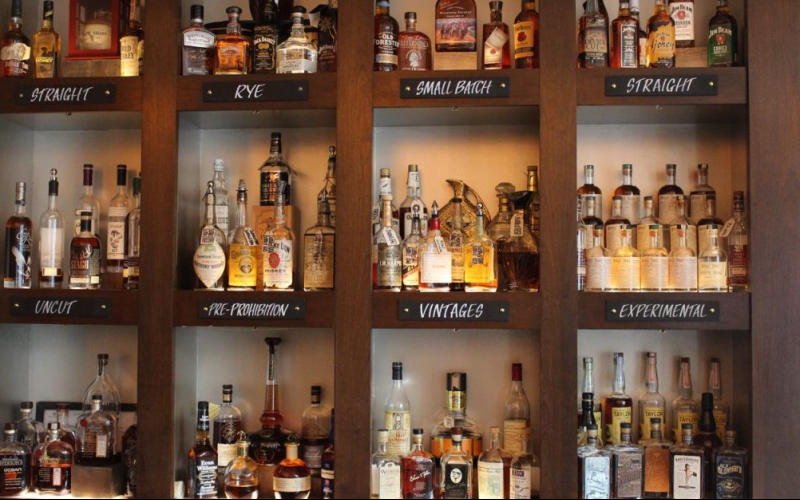 Their Bourbon Bar has the largest selection of the hard stuff in London with over 160 bottles, including some rare and pre-prohibition batches as well as their own Jim Beam Single Barrel – you’d have to travel all the way to Kentucky to get your hands on something in the same league. 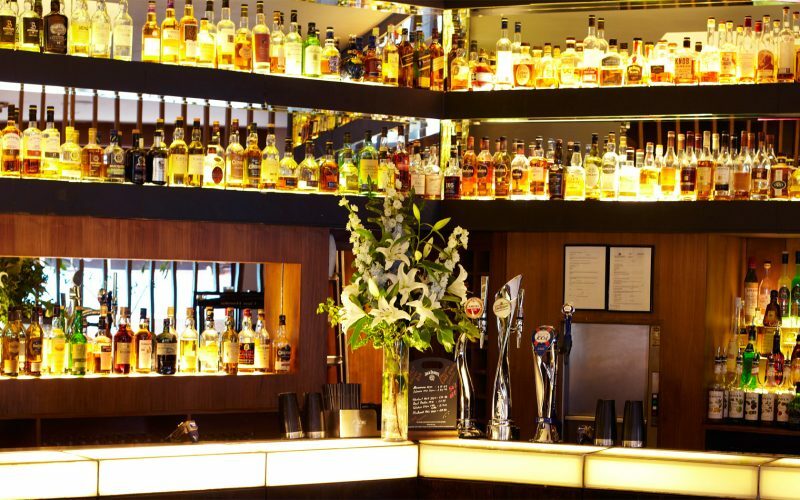 This is a place for serious whisky drinkers – you can’t just drop by, you have to be a member and that requires an annual fee. 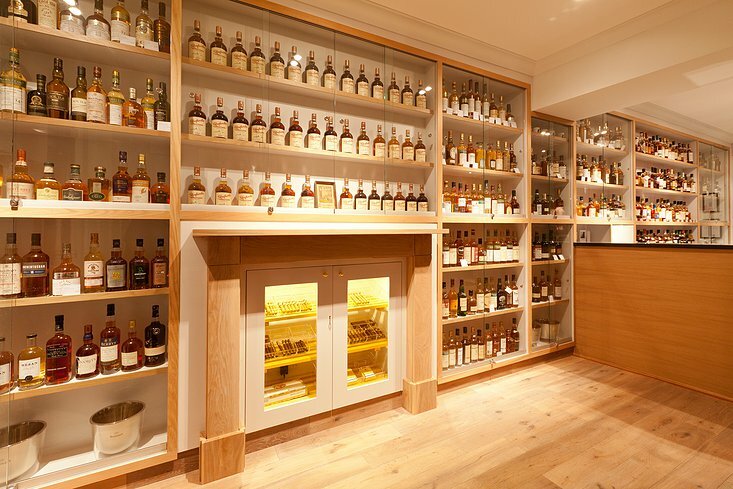 But boy do you get your money’s worth – private member’s vibes and a mega collection of malt whisky. 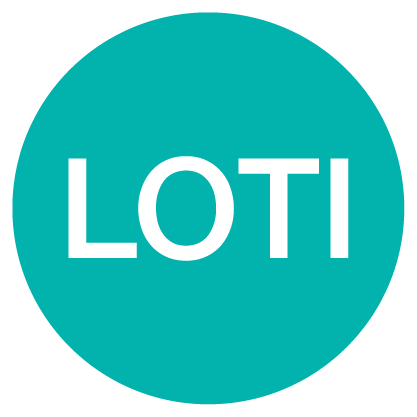 All the bottles have the same type of label, with a code number and elaborate description of the taste, so you focus on what you’re drinking rather than the brand (or price). Bull In A China Shop holds one of London’s biggest Japanese whisky collections with more than 30 rare and premium whiskies on offer. 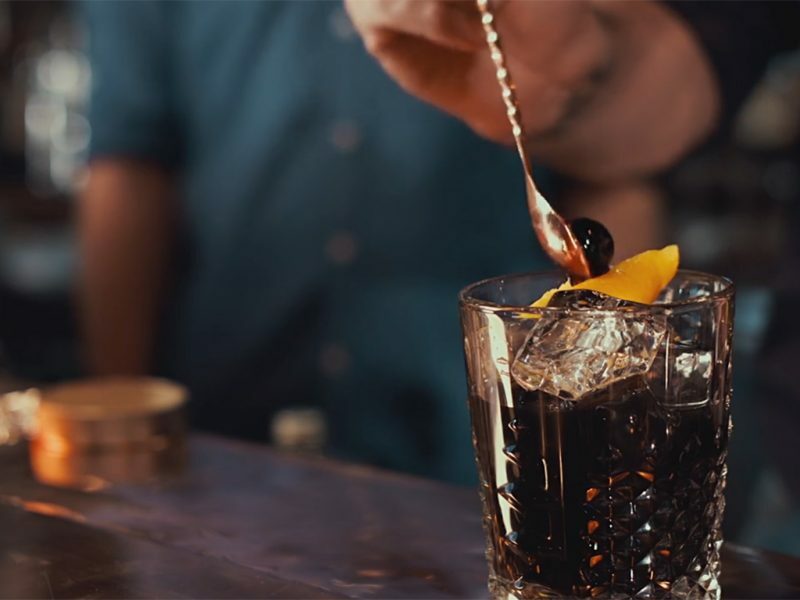 And if that wasn’t fancy enough, they serve up all their whiskies with hand-carved ice…But whatever you do, don’t miss out on THAT charcoal old fashioned! With over 1000 bottles, Boisdale Canary Wharf is the boss. 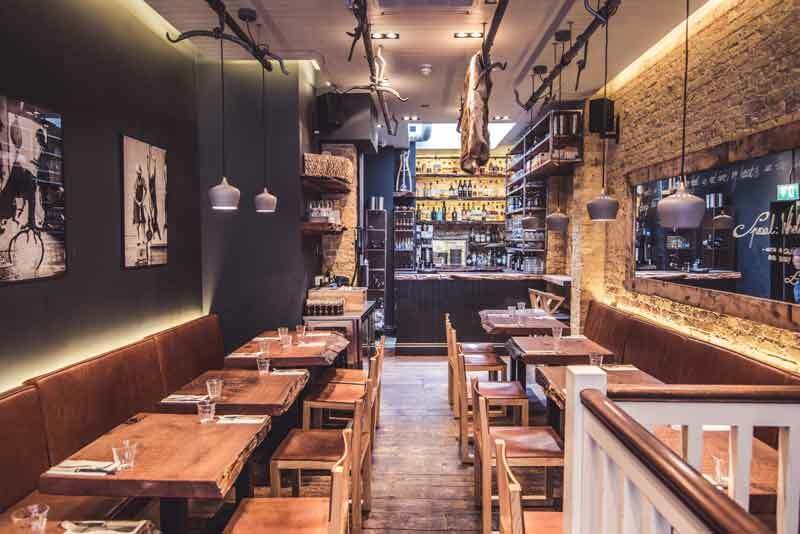 As well as having one of the best Scotch menus in the world, they serve English, Japanese, Welsh and Indian whiskies, and it’s not just the whisky that’s Scottish here either – the seats are covered in tartan and the walls are painted red! Oh and there’s even a cigar room, for those who want to go all out. Black Rock is anything but a bar. 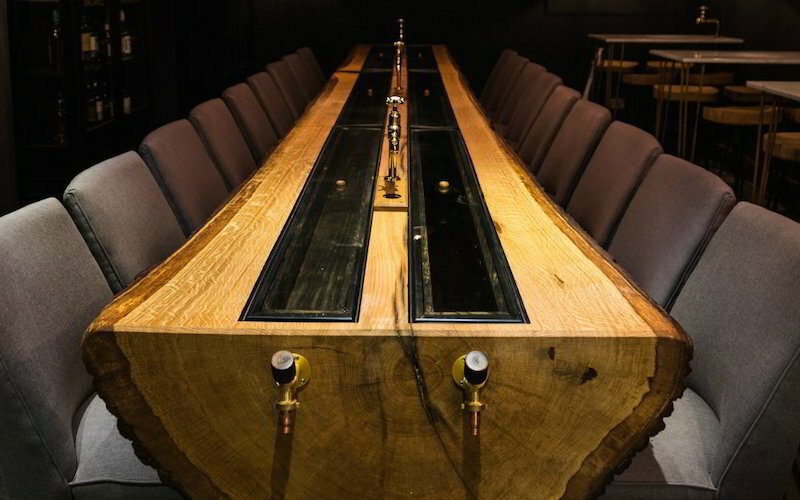 Instead, this place has whisky flowing through a huge 18ft English-oak tree trunk table. And if you don’t fancy drinking from the tap, there are whisky cabinets with over 250 bottles of the good stuff surrounding the tree. There are a couple of cocktails on offer too, but Black Rock is really all about the straight whisky. Milroy’s of Soho is London’s oldest whisky shop, but hidden in the basement, behind a bookcase and down a spiral staircase, is one of the best whisky bars in town, and it’s proper old school. Manhattans and Old Fashioneds are their jam, but if you’re a real whisky lover take stool upstairs and drink your way through their 250 drams!